Our lineage is important to us. 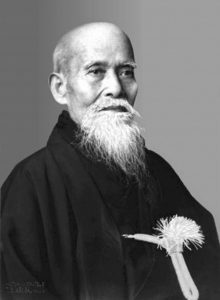 We trace our Aikido lineage from Morihei Ueshiba (O’Sensei) to Morihiro Saito Shihan, 9th dan, to Hans Goto Shihan, 7th dan, to our current chief instructor, Judith Robinson Sensei, 6th dan. One of O’Sensei’s closest students who spent 23 years as an uchideshi in Iwama. 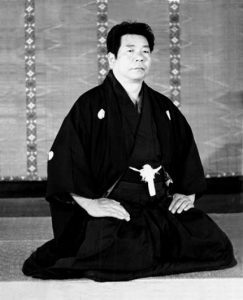 After O’Sensei died, Saito Shihan remained at the Iwama dojo where he taught and preserved O’Sensei’s aikido. 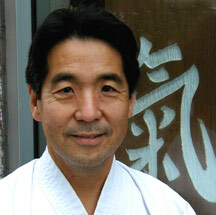 Hans Goto has over 40 years experience in martial arts. His main focus has been aikido, with extended residential training in Iwama, Japan at the Aikido Shrine under Morihiro Saito Shihan. Goto Sensei is the first non-Japanese citizen to undergo this intensive traditional style training. 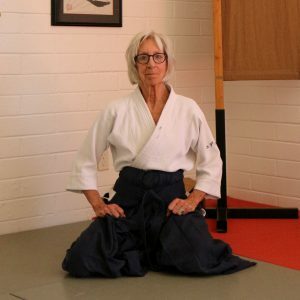 Sensei Judith Robinson has thirty years of experience in the martial arts. She is a student of Hans Goto Shihan, who was an uchideshi at Iwama, Japan, training under Morihiro Saito Shihan, 9th dan. She has also trained with Mitsugi Saotome Shihan, Bill Witt Shihan, Frank Doran Sensei, John Stevens Sensei, and Hiroshi Ikeda Sensei. She holds a sixth-degree black belt in Aikido, a first-degree black belt in Karate and has also studied Wing Chun and Tai Chi. She is a graduate of the Model Mugging Program with certification in both single attacker and weapons disarm. She is a retired protection agent, and member of local R.E.D.